In a nutshell Microsoft’s Windows Server 2008 is more forgiving then W2K3, in particular it requires less work to install and configure the server’s role on the network. I hope that you enjoy exploring the new ‘Longhorn’ features as much as I did. Vista-like features which are incidental to Windows Server 2008, but nevertheless useful. Windows Server 2008 introduces Hyper-V (V for Virtualization) but only on 64bit versions. More and more companies are seeing this as a way of reducing hardware costs by running several ‘virtual’ servers on one physical machine. 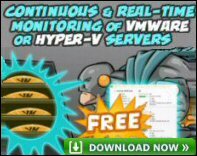 If you like this exciting technology, make sure that you buy an edition of Windows Server 2008 that includes Hyper-V, then launch the Server Manger, add Roles. The five years between W2K3 and Windows Server 2008 is a relatively long time in computing. Perhaps the 64bit verses 32bit debate is a good bellwether for the changes. In W2K3 most servers were 32bit with 64bit an option, whereas for Windows Server 2008 almost all servers will be 64bit. Another trend in the Microsoft Windows family of servers has been improved scalability, the desire to take on jobs previously associated with main-frame computers. For this high-end role, Windows Server 2008 has better support for failover clustering than W2K3. Even though servers have always been more secure, and less flashy, than clients like Vista, Microsoft has made security their number one priority for Windows Server 2008. To gain maximum benefits I have always preached match clients and server, thus XP and W2K3, and now, match Windows Server 2008 with Vista. Perhaps the killer reason for the latter association is DHCPv6 and IPv6. At present Windows Server 2003 does not support DHCP for IPv6. W2K3 Group Policies are great, especially if you want to tattoo settings and enforce a corporate desktop. Windows Server 2008 introduces an additional or parallel idea; you set the initial preference, but allow uses to amend these less critical settings. Take the time to review Group Policy Preferences. Here are code words which became more recognisable features of Windows Server 2008. Else they were part of a project, which has been abandoned or placed on the back-burner.